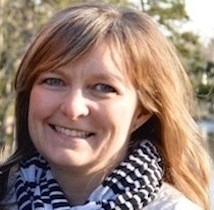 Leslie Phillmore (follow her on twitter) is an associate professor of psychology and neuroscience at Dalhousie University in Halifax, Nova Scotia. Leslie received her BA (Hons) from Huron College at UWO working with Mark Cole. (She also worked the summer between undergrad and grad school on some great stuff, and some not so great stuff when she ran birds for some postdoc in Bill Roberts' lab...) She then went on to work with Ron Weisman at Queens University in Kingston for her MA and PhD. Leslie's lab works on song production and perception in zebra finches and black capped chickadees. They are particularly interested in immediate early gene response in perceptual regions of the brain as well as the effects of stress on neural development and neurogenesis. We talked about a couple of recent papers out of her lab and some stuff she just presented at SFN.